Youtube LensCulture interview Jason Florio about 'Destination Europe' - a Magnum Award-Winning body of work, spanning almost 2 years. 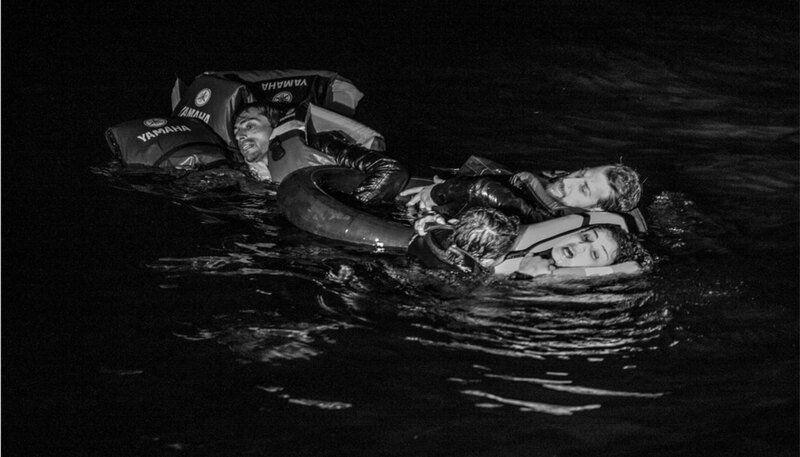 Florio embedded with an NGO vessel in both the Mediterranean and the Aegean Seas - documenting the daily/nightly rescues of migrants and refugees. “‘Destination Europe’ is a body of work that I produced over an 18-month period…it involved multiple embeds, on one of the (NGO) search and rescue ships, in the Mediterranean, and the Aegean Sea… I became completely immersed in the story, into the people (we rescued). I followed up with a number of them – especially the Gambians (Florio has spent almost 20 years traveling back and forth, to the small West African country, and also lived there for a long period of time, working on several photography projects)…” see/hear more @LensCulture/Youtube.